Travel planning should be fun, not stressful. How can you make it so? __ Do you need a passport? If so, allow plenty of time for it to arrive to your door. __Does your destination require a VISA? Apply six weeks in advance in case you run into bureaucratic difficulties. __Do you want to sign up for Global Entry? What is Global Entry? 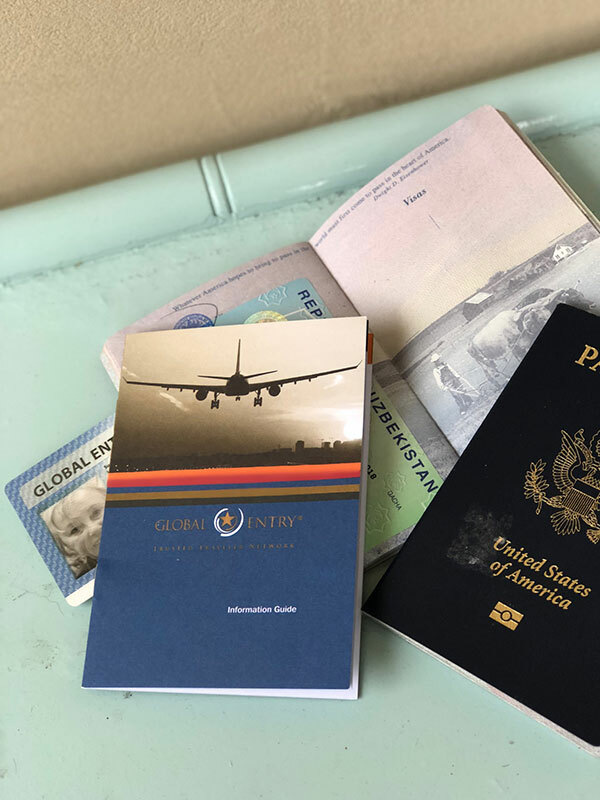 Global Entry is a program of the United States Government’s Customs and Border Protection (CBP) that allows expedited clearance for pre-approved, low-risk travelers upon arrival in the United States. Members enter the United States through automatic kiosks at select airports. It makes international travel so much easier. To apply, one must complete the online application at https://www.cbp.gov/travel/trusted-traveler-programs/global-entry/how-apply. After your application is reviewed, you will be contacted to schedule an interview at one of the Global Entry Enrollment Centers. At the interview, a CBP officer asks you questions, takes your photo, and collects biometric information such as fingerprints. Gunter and I signed up for Global Entry this year and will use this additional stamp in our passport for the first time during our upcoming trip to Uzbekistan. We hope to glide right through those long custom lines! I’ll let you know how it works out. __Well before you travel, make sure your medical, dental, and eyecare is up to date. Will you require vaccinations? The week before you leave, refill any prescriptions you’ll need, including those little-used “emergency” pills—just in case. __Prepare a sample itinerary. If you’re with a group, your travel agency will do this. Be sure to ask questions about anything you don’t understand. Which reservations must be made early? If you’re traveling during high season, hotels may fill up fast. __Purchase your train, bus or plane ticket or prepare your car for travel. __Make a list of clothes and personal items you’ll need to buy; if you’re shopping online, allow time for shipment and/or backorders. Check the weather in your destination – average highs and lows for the time of year you plan to travel. I retrieve our luggage from storage two weeks in advance and begin to throw in personal items and clothes I know I won’t be needing in the next few weeks. Then I repack a day or two before the trip and add any clothes I don’t want to wrinkle. __Review your photography equipment; will you need anything else? Be sure you have backup flash drives in case you fill up your camera(s). If you don’t normally take a lot of photos, familiarize yourself with your camera’s operation before you go. Will you need to download parts of your manual? If using a smartphone, bring a back-up charger for the trip. __ If you’re traveling internationally, inform your bank and/or credit card company in advance. You do not want to be without access to funds. What if your expectations don’t meet reality? That’s part of the adventure and thrill of travel. 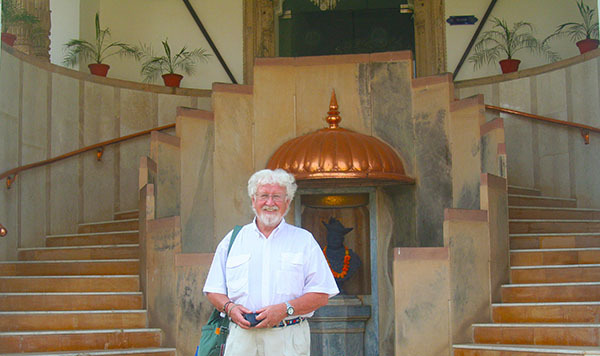 When traveling in India, our flight from Varanasi to Agra was cancelled after we had already checked in our luggage. 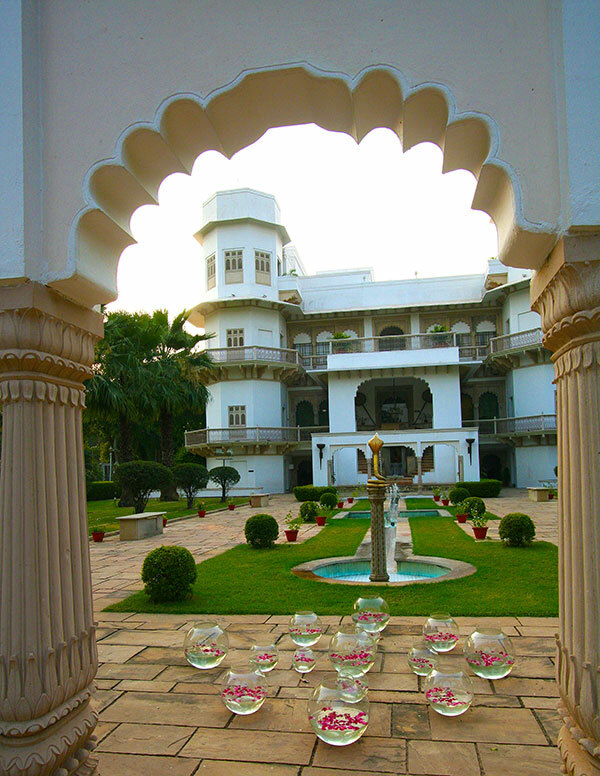 Our next stop was to be two nights at a hotel near the Taj Mahal. Fortunately, our travel company had provided us with a cell phone and India SIM card for just such emergencies. We called them, and within 20 minutes, they had solved the problem. A driver magically appeared as our luggage was coming back down the carousel; he led us to his car and we were on our way, driving overnight. The dirt road was rough and at some places, the driver went off the road into the ditch to bypass construction zones, but by early morning, we stopped at the palace of a Raj to stay for the day and evening, and the following day, we were safely deposited to our hotel in Agra. 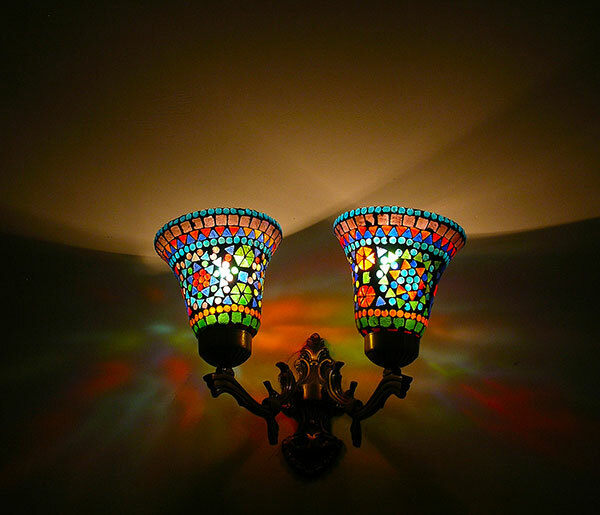 One of the many exquisite light fixtures in our suite. I wouldn’t have missed staying in that palace for all the tea in China (I mean, India). I felt like a princess as the rising sun shone through gorgeous stained glass and exquisite chandeliers illuminated every room. So, prepare to be flexible. Don’t over schedule and take things as they come. Above all, don’t stress. About the Author: Lois and Günter Hofmann lived their dream by having a 43-foot ocean-going catamaran built for them in the south of France and sailing around the world. Learn more about their travel adventures by reading this nautical adventure trilogy, now on sale at a reduced price for a limited time.